^ Teacher's guide for PBS Ancestors series. BYU. [2006-09-05]. ^ Genealogy or Family History? What’s the Difference?. Society of Genealogists. [10 Aug 2013]. ^ FGS member societies. Federation of Genealogical Societies. [11 Jun 2014]. ^ New Confucius Genealogy out next year. China Internet Information Center. 2008 [2008-11-01]. ^ Updated Confucius family tree has two million members. Xinhua News Agency. February 16, 2008 [2008-11-01]. ^ Elizabeth Shown Mills, "Genealogy in the 'Information Age': History's New Frontier?" ^ Grow Your Family Tree in Salt Lake City – Genealogy is the Fastest Growing Hobby in North America 互联网档案馆的存檔，存档日期2008-05-15. ^ Genealogy.com: Recent Maritz Poll Shows Explosion in Popularity of Genealogy 互联网档案馆的存檔，存档日期2008-05-16. ^ 11.0 11.1 François Weil, Family Trees: A History of Genealogy in America (Cambridge, Mass. : Harvard University Press, 2013), Chapter 1. 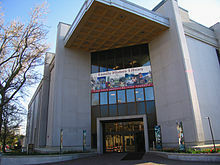 ^ Family History Library. [2015-06-26]. ^ Board for Certification of Genealogists, The BCG Genealogical Standards Manual (Provo, Utah: Ancestry, 2000); National Genealogical Society, American Genealogy (Arlington, Virginia: 2005); Val D.
^ Peter Wayner,. From Shared Resources, Your Personal History. The New York Times. 2004-04-22 [2009-01-14]. ^ Verma, Binod Bihari. Maithili Karna Kayasthak Panjik Sarvekshan (A Survey of the Panji of the Karan Kayasthas of Mithila). Madhepura: Krānti Bihārī Varmā. 1973. OCLC 20044508. ^ Carolyn Brown Heinz,. Fieldnotes: First lesson of the Genealogist. Department of Anthropology, California State University, Chico. [2008-01-29]. （原始内容存档于2008-03-29）. ^ Pranava K Chaudhary. Family records of Maithil Brahmins lost. India Times. 3 April 2007 [2008-01-29]. ^ Donald Harman Akenson, Some Family: The Mormons and How Humanity Keeps Track of Itself Montreal: McGill-Queen's University Press, 2007; Johni Cerny and Wendy Elliott, The Library: A Guide to the LDS Family History Library. ^ "Thanks A Billion," FamilySearch Press Release. ^ "FamilySearch Family History Books Reaches a New Milestone," FamilySearch, 5 August 2013. ^ Mormon church’s storied Granite Mountain vault opened for virtual tour. Deseret News. April 29, 2010. ^ Granite Mountain Records Vault. The Church of Jesus Christ of Latter-day Saints. March 14, 2014. ^ United States Census 1940. FamilySearch. December 25, 2012. ^ Family History Volunteers Reach Billion-Record Milestone. The Church of JESUS CHRIST of LATTER-DAY SAINTS. April 22, 2013. ^ 66,511 volunteers set FamilySearch indexing record. Deseret News. July 26, 2014. ^ Lorine McGinnis Schulze,. Dutch Patronymics of the 1600s. Olive Tree Genealogy. [2008-01-29]. ^ Surnames made their way into the language in the 19th and 20th century, but are not widely used. ^ Lov av 9. februar 1923 nr. 2 om personnavn (Norwegian Name Law of 1923). [2008-01-29]. （原始内容存档于2007-06-10） （挪威语）. ^ 41.0 41.1 Peter R. Knights, "The Accuracy of Age Reporting in the Manuscript Federal Census of 1850 and 1860," Historical Methods Newsletter, 4 (1971), 79–83; Karen Oppenheim Mason and Lisa G. Cope, "Sources of Age and Date-of-Birth Misreporting in the 1900 U.S. Census," Demography vol. 24, no. 4 (Nov., 1987), pp. 563–573. ^ Calendar Converter. Fourmilab.ch. [2013-03-26]. Cyndi's List, a directory of genealogy links, with links to resources about dozens of nations. 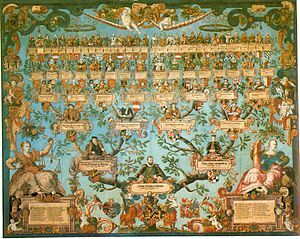 Family Genealogy & History Internet Education Directory - Wiki, Comprehensive Portal to all Countries and Nations of the World.